Our stunning variety of beautifully designed buttoned headboards, comes in many different sizes and heights. 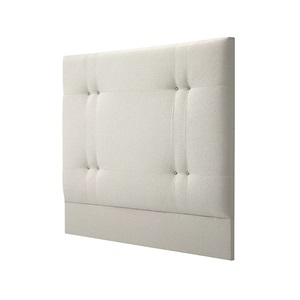 Most of our headboards are wall held, because of the flexible and practical advantages this offers you. But they can be bed-fixed if you prefer. If you can't find exactly what you're looking for in our comprehensive collection any piece can be altered for you. We also offer a bespoke library of beds & headboards, which can be tailored to your needs. We maintain a good stock of many of our best selling pieces in the most popular fabrics and colours. Any of these items are available for delivery in as little as 24 hours, in the London area.